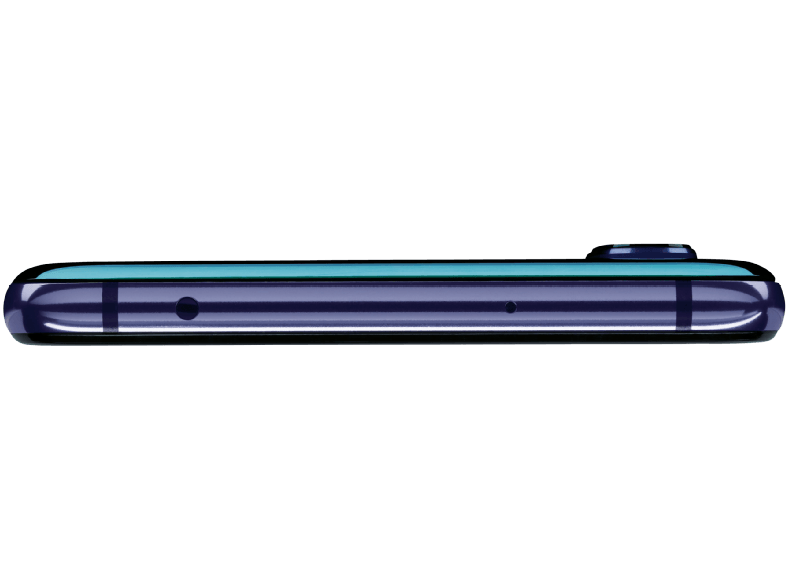 The Huawei P20, P20 Pro, and the P20 Lite have been in the rumor mill for quite a while. We have exclusively reported many specifications of the phones, including the fact that they have a display notch. We have seen everything from leaked specifications to stock wallpapers to the leaked firmware. 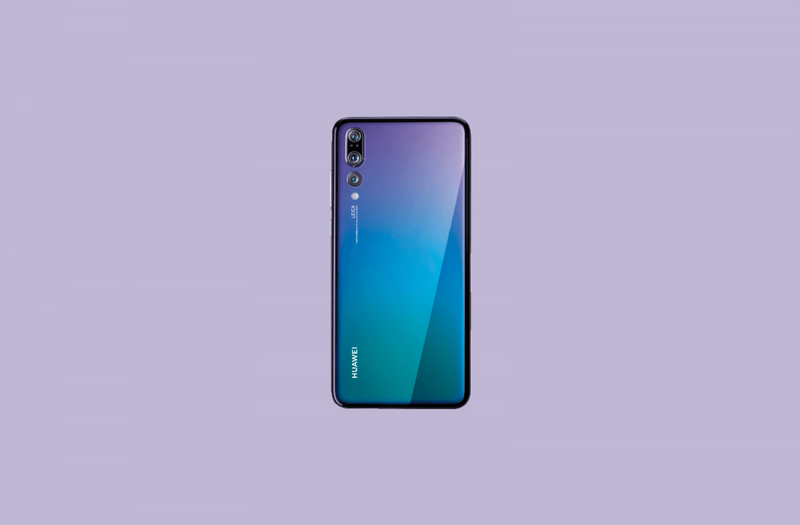 In fact, the Huawei P20 Lite has already gone on sale in some countries. At an event on Tuesday, Huawei officially unveiled all three devices. 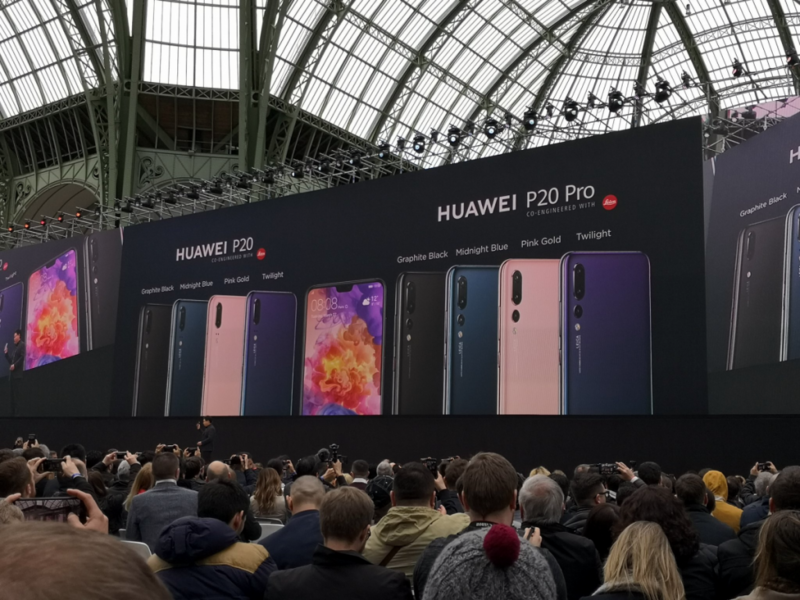 The Huawei P20 and the P20 Pro are flagship phones in the P series, while the P20 Lite is a lower-end device. The P20 series features a radically different design when compared with their predecessors. 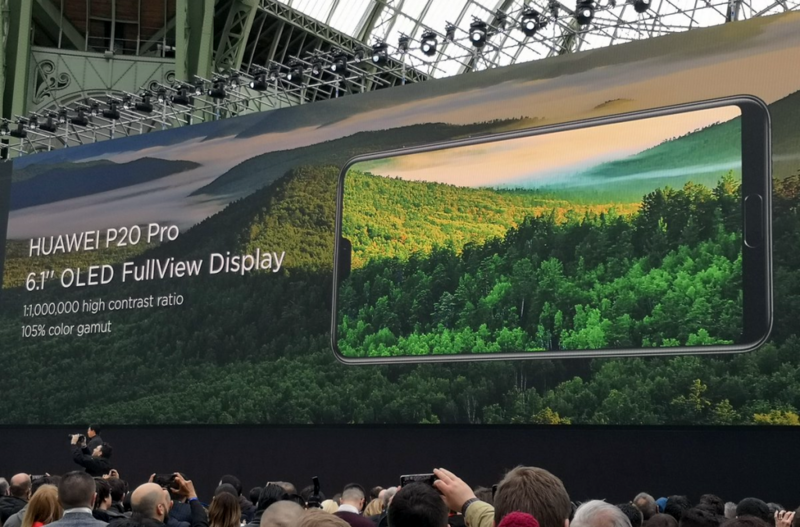 The phones are the first Huawei phones to feature the display notch. 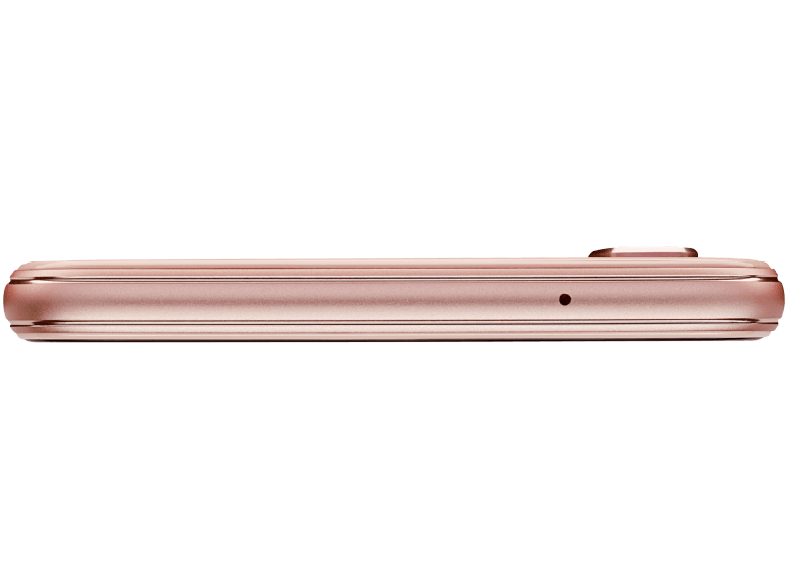 Instead of having a metal unibody design, they have glass backs, just like the Huawei Mate 10 series. 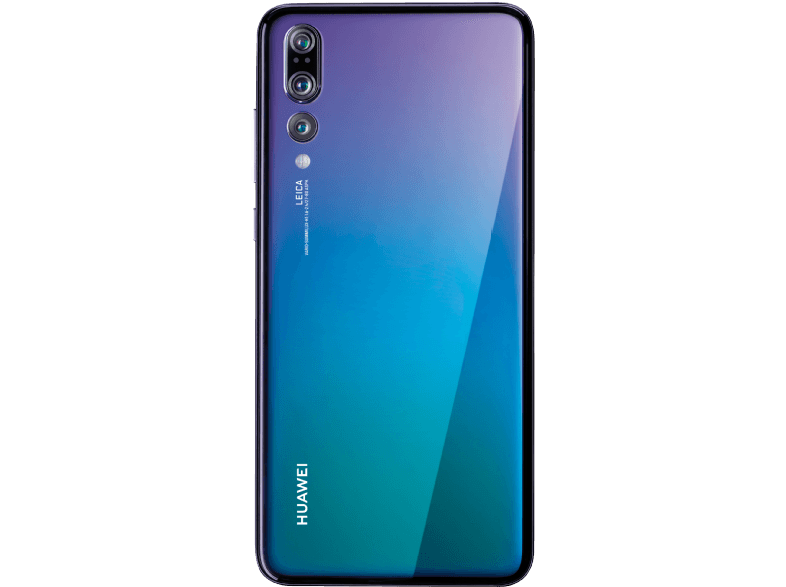 The P20 Pro has a unique camera system with triple cameras, and it is Huawei’s top-end phone. Let’s take a look at all three devices. 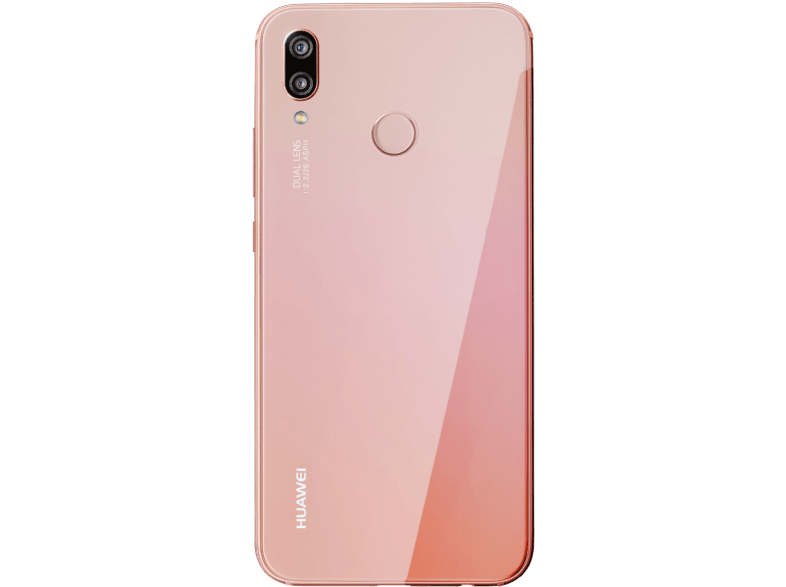 The Huawei P20 is powered by the HiSilicon Kirin 970 system-on-chip. The Huawei Mate 10 series and the Honor View 10 also use the same SoC. The Kirin 970 features four ARM Cortex-A73 cores clocked at 2.36GHz and four ARM Cortex-A53 cores clocked at 1.8GHz, paired with the Mali-G72MP12 GPU. The SoC has a dedicated NPU (Neural Processing Unit). The chip is a competitor to the Qualcomm Snapdragon 835 and not the newer Snapdragon 845 (which has the Cortex A75/A55/DynamIQ/Adreno 630), which does leave the P20 series with a disadvantage in terms of performance. The SoC is paired with 4GB of RAM and 128GB of storage, but there is no microSD slot. 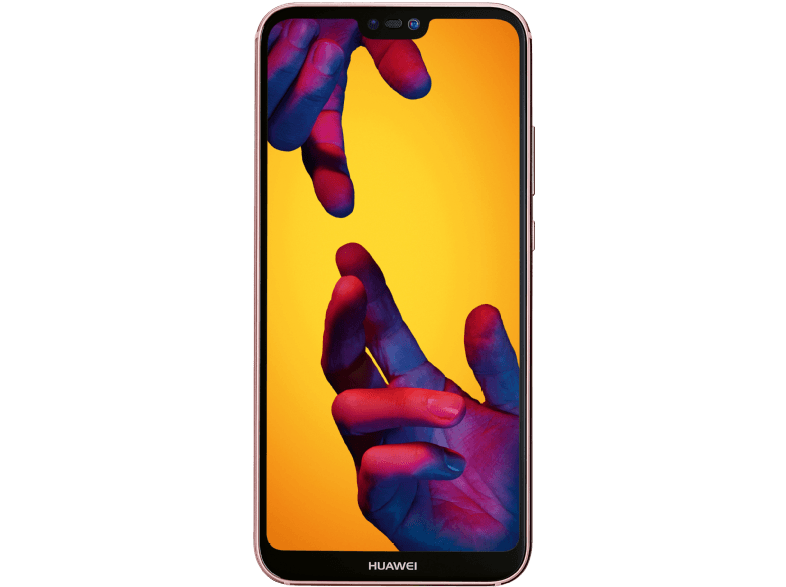 The Huawei P20 opts to go for a dual-camera configuration. The dual cameras come with Leica branding and are said to be the third-generation Leica Dual Cam system. The phone has a 12MP primary RGB camera with a 1/2.3″ sensor, 1.55 micron pixels, f/1.6 aperture, a dual LED flash, and optical image stabilization (OIS). Interestingly, it comes with 4-way autofocus (laser, PDAF, contrast and depth detection). The secondary camera is a 20MP monochrome sensor with a f/1.6 aperture. The camera can record 4K video. It also has Super Slow-motion video recording as it can capture 960FPS in 720p resolution, just as we have previously reported. The Huawei P20 has a 24MP front camera with “Light Fusion” technology that can brighten the image content using the AI capabilities of the processor. The Leica Dual Cam system of the Huawei P20 has received an overall score of 102 from DxOMark, with a Photo score of 107 and a Video score of 94. This makes it the second highest-ranking smartphone on DxOMark’s overall scoring system, coming up below the Huawei P20 Pro but ahead of the Samsung Galaxy S9+ and the Google Pixel 2. The phone has Wi-Fi 802.11ac, Bluetooth 4.2 + LE (Bluetooth 5.0 is absent), dual SIM slots, and a USB Type-C port with USB 3.1 speeds. Unfortunately, it does not have a 3.5mm headphone jack. It’s also rated only IP53 for dust and splash resistance. The Huawei P20 is powered by a 3400mAh battery. Both the P20 and P20 Pro have their fingerprint sensors placed on the front of the device. It ships with EMUI 8.1 on top of Android 8.1 Oreo, and it comes in Black, Blue, Twilight and Pink Gold colors. It costs €649 in Europe. 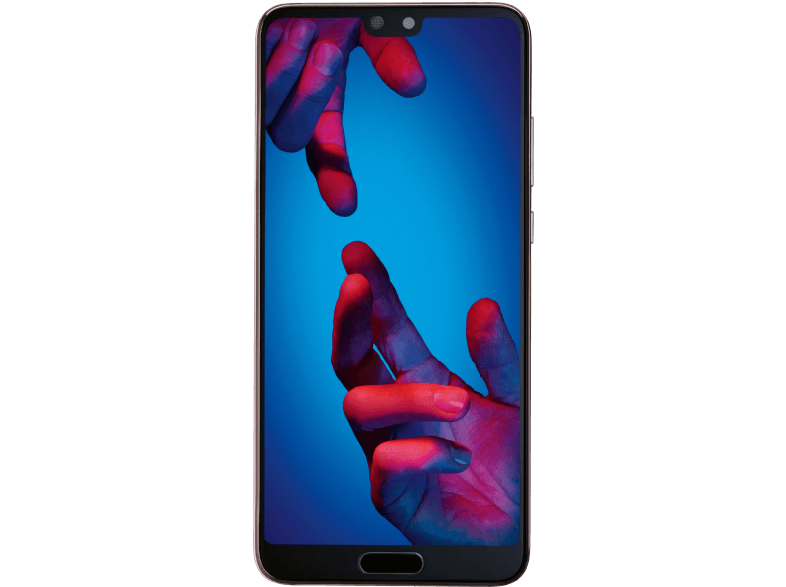 The Huawei P20 Pro is a higher-end variant of the P20. It is the most expensive phone in Huawei’s current portfolio, and as expected, it has the highest-end specifications. The P20 Pro uses the Kirin 970 SoC as the regular P20. The phone has 6GB of RAM with 128GB of storage, but it doesn’t have a microSD card slot. The differences between the phones are pronounced when it comes to the display. The P20 Pro has a 6.1-inch Full HD+ (2240×1080) AMOLED display, and it has a notch just like the P20. The display is 0.3-inches bigger than the P20’s display, and the display type is different as well (AMOLED vs. LCD). The major upgrade of the P20 Pro over the regular P20 is its Leica-branded triple rear camera setup. The phone has a 40MP primary camera with a huge 1/1.7″ sensor and a f/1.8 aperture. The cameras can do 5x “hybrid zoom” and 3x optical zoom, thanks to the presence of an 8MP camera which has telephoto lens, which has an effective 3x magnification. There is also a 20MP monochrome camera with a f/1.6 aperture. The P20 Pro has a color spectrum sensor and also has an astonishingly high max ISO of 102,400. The camera system has been rated to be the “best smartphone camera” by DxOMark. The overall score given to the triple camera setup is 109, with a Photo score of 114 and a Video score of 98. The P20 Pro has the same connectivity options as the regular P20. This means that it doesn’t have the 3.5mm headphone jack too. On the other hand, the phone does have an IP67 rating for water resistance. The phone is powered by a 4000mAh battery — the same battery capacity as the Huawei Mate 10 series. It ships with EMUI 8.1 on top of Android 8.1 Oreo. It comes in Black, Blue, Pink Gold, and Twilight colors. It costs €899 in Europe, which means that it’s €250 more expensive than the regular P20. The price increase over the regular P20 is arguably too high, as the internal specifications remain the same. 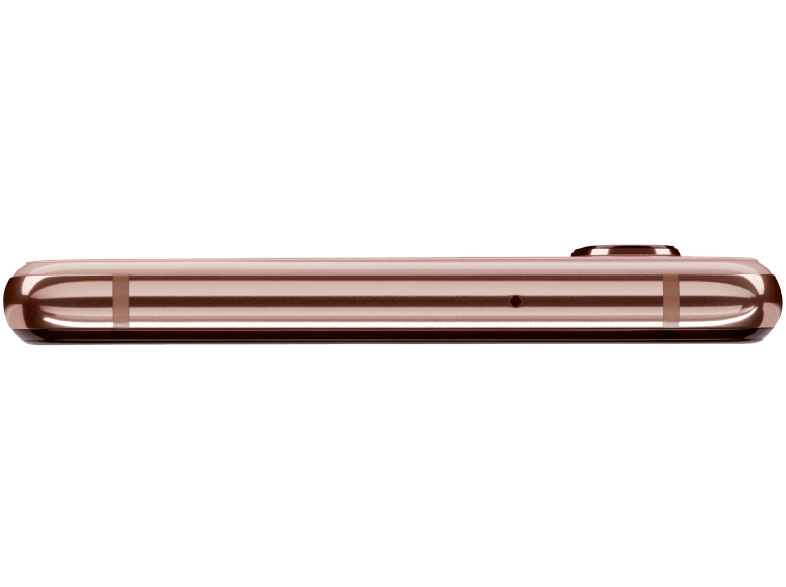 (The other point of view is that the regular P20 itself doesn’t make sense as a true flagship.) Instead, buyers get a bigger AMOLED display; a more ambitious triple rear camera setup; IP67 water resistance; and a bigger 4000mAh battery. The lower-end Huawei P20 Lite went on sale in a few markets last week, so its specifications are already known. The phone has the Kirin 659 system-on-chip, which is used in the Honor 7X, Huawei Mate 10 Lite, Honor 9 Lite, Honor 9i, and others. It has eight ARM Cortex-A53 cores and the Mali-T830MP2 GPU, which means that its specifications aren’t anything to write home about in 2018. The SoC is paired with 4GB of RAM and 64GB of storage, along with a microSD card slot. The phone has a 5.84-inch Full HD+ (2280×1080) IPS display. It’s the first Huawei “mid-range” phone to feature a notch. It has dual rear cameras, with a 16MP primary camera paired with a 2MP depth sensing secondary camera for portrait mode. On the front, the device has a 16MP camera. The P20 Lite’s fingerprint sensor is placed on the back of the device. It’s powered by a 3000mAh battery, and it runs EMUI 8.0 on top of Android 8.0 Oreo. It costs €369 in Europe and will be available in the continent by the end of March. 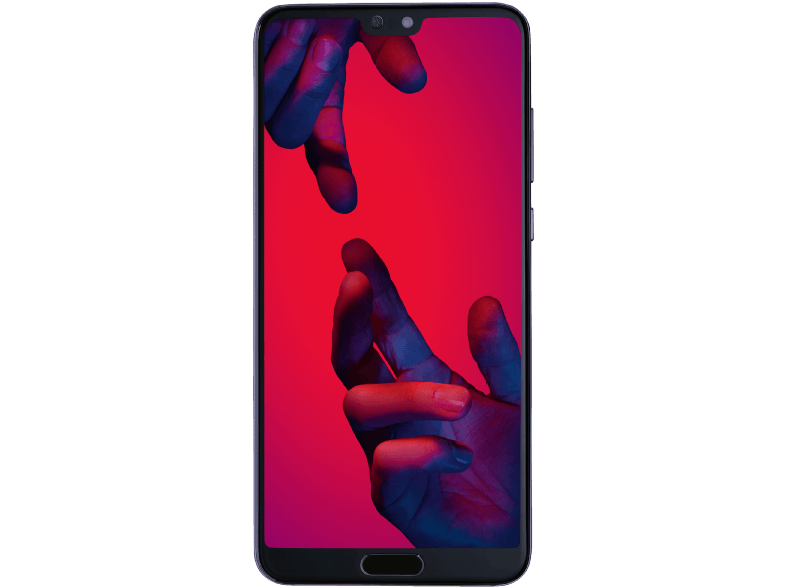 What are your thoughts regarding the Huawei P20 series? Share your thoughts regarding the display notch, the ambitious camera setup of the P20 Pro, and more in the comments section below.